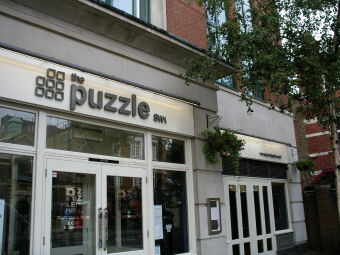 It's a "puzzle" why anyone would want to drink here. I thank yow. Had a couple of quick after-work beers here a few weeks ago. Found it to be pleasantly decorated, spacious and comfortable, but clearly going for the more wine bar/food crowd than your typical pub. Was pleased to see they had Sambrook's Wandle as guest beer, but a quick sip indicated it had not been kept well - to their credit, the bar staff immediately replaced it with a London Pride. Would happily go back, but there are plenty of alternatives around here. Now called 'The Loose Box', and re-opened as a gastro-pub. Rumoured to have been acquired by Wetherspoons!